Calling all Nightowls! It’s the midnight hour and we’re sitting down to discuss the ongoing high strangeness in the deep dark hills, hollers, forests, and suburbs of the bluegrass state. In tonight’s episode, we’re talking about the large assortment of strange creatures witnessed in and around Kentucky and their startling connections to each other and other phenomena. From the Kentucky Gravedigger and the Lizard Man to the Popelick Monster and the Mammoth Cave Ghoul, THEY’RE ALL HERE!! We also take a deep dive into the Waddy Werewolf and it’s connections to the Land Between the Lakes Beast and the Monroe County animal massacres in September of 2018. In addition, we take a brief look at the 1955 Hopkinsville encounter with the Kentucky Goblins, as well as recurring incidents with the same ‘critters’ all throughout the state. In the introduction of this episode we touch on the recent ‘transformer explosion’ in the skies over New York City. 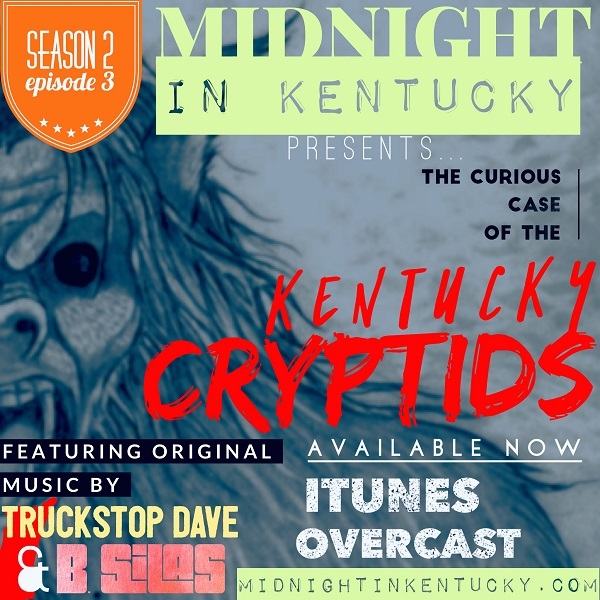 Hear it all on tonight’s episode of Midnight in Kentucky; The Curious Case of the Kentucky Cryptids! -The Waddy Werewolf, What is the Real Story? 1:50- Terry Wriste, not Paul.